I recently had a telephone conversation with an aviation news editor. He never heard of HelicopterLinks.com but he liked the idea and he gave me some time over the phone. I explained that Helicopter Links has been online for 10 years as a hobby site and is an online international directory of helicopter information. In 2011, Helicopter Links expanded to 70 categories, increased to include over 2,800 company links, added outbound tracking and became a small business in September. We then exchanged several emails. In one of my emails, I suggested if helicopter manufacturers would advertise throughout more categories on Helicopter Links, they'd receive even more web traffic. Don't helicopter manufacturers want more web traffic? In his next email, the Skeptical Editor responded to me by saying this: "Yes, of course helicopter companies want increased traffic from their customers. But do they know that they are getting views from potential customers or are they just curious people who never will spend money in the helicopter industry? That's certainly a challenge." My response to his question was to ask what site would have more qualified buyers for the helicopter industry than a helicopter directory site? Although every web site has a certain amount of traffic that arrives by accident or has lookie-loos, Helicopter Links is a reference site for anyone seeking goods, services and information in the helicopter industry. If I took the Skeptical Editor's statement seriously, it would be similar to someone trying to make the case that all helicopter manufacturer's web sites have no value because what buyer goes online to purchase a turbine OEM helicopter with a 10%-off coupon and a credit card? Helicopter Links' job is not to make the sale but to publish helicopter manufacturers, companies, suppliers and services. Advertising on Helicopter Links is not only part of a successful marketing mix, branding campaign and sales program but it also is a part of search engine optimization. It's a link (or links) from a helicopter-related web site to a helicopter business-related site. How many new people enter the helicopter industry every year? An easy-to-use helicopter reference site is a big help in this situation. How many people are dissatisfied with online searches? For many, Helicopter Links is a useful time-saving business tool. Ads do many things. Ads say, "Hey, look at me!" Ads spark interest. Ads help buyers find their trusted brands or highlight products with a future need for the buyer. Helicopter Links is sort of a helicopter dating service, if you will. For more information, please contact Michael Hampson, Owner, Helicopter Links at +1 (858) 413-7074 or staff@helicopterlinks.com or see: www.helicopterlinks.com/advertise. Based in San Diego, California, USA, Helicopter Links is an online worldwide directory of helicopter manufacturers, commercial operators, suppliers, services, trade shows, air shows, magazines, organizations and museums providing over 2,800 helicopter related companies in 70 categories, listed by category and then by continent. 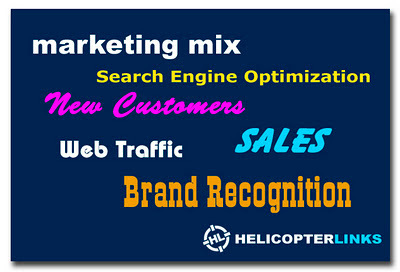 Helicopter Links does not require a membership or login to use or to purchase advertising. Helicopter Links continues to offer our one-free-listing in one category for any helicopter related business, company or organization. All helicopter trade shows, helicopter air shows and all helicopter conferences are the only organizations which receive multiple free listings on Helicopter Links. Give us a call or send us an email and let's get your company or organization listed!